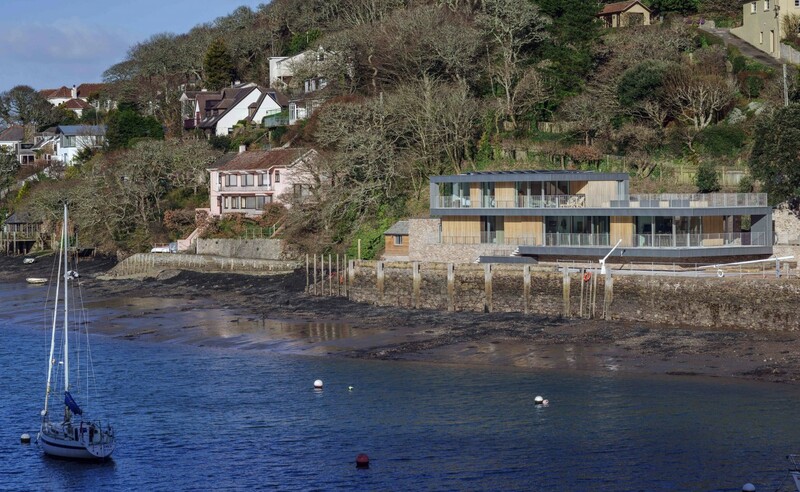 Only truly visible from the water, Old Quay is located on the River Yealm in Devon, within an Area of Outstanding Natural Beauty. 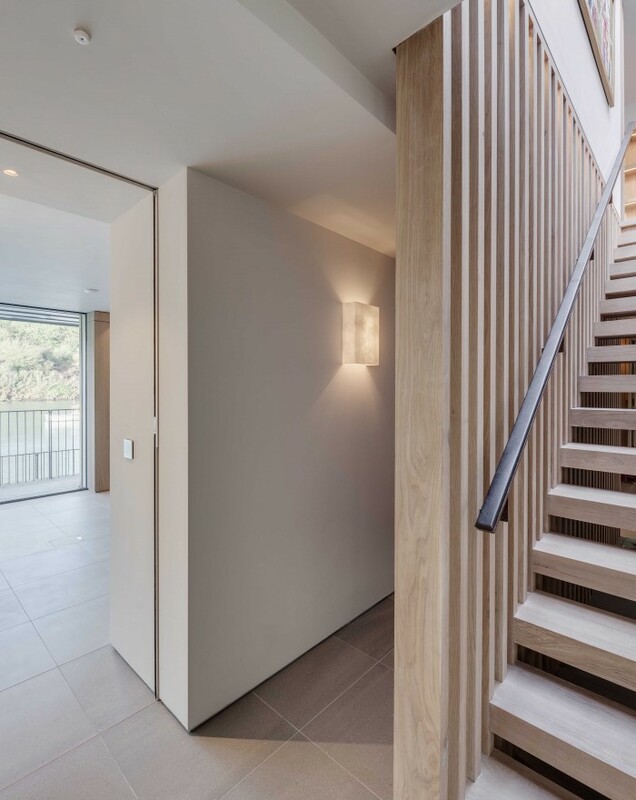 Initially our clients intended to extensively refurbish an existing property, however, after substantial investigation it became apparent that, due to the level of flood risk and environmental performance desired, this was not feasible. 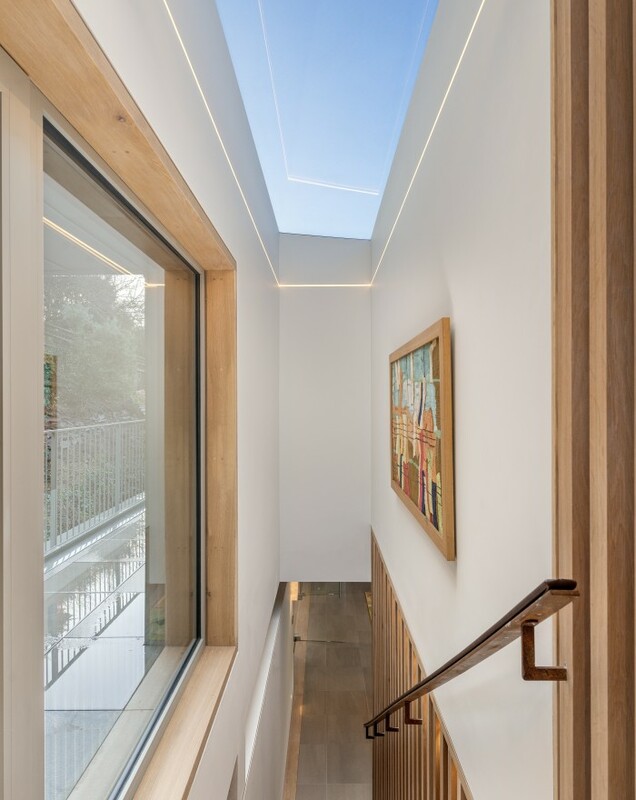 The brief was for a home tailored to their specific needs and sympathetic to its unique setting. 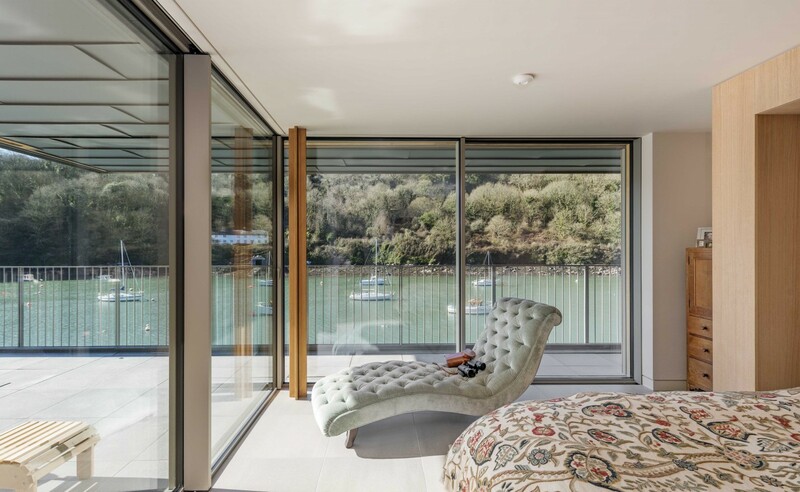 Extensive consultation was required with the local planning authority to establish an appropriate design, which through careful massing and a sensitive palette of materials respects this dramatic location. The linear form relates both to the long quayside and terraced fishermen’s cottages on the opposite bank. 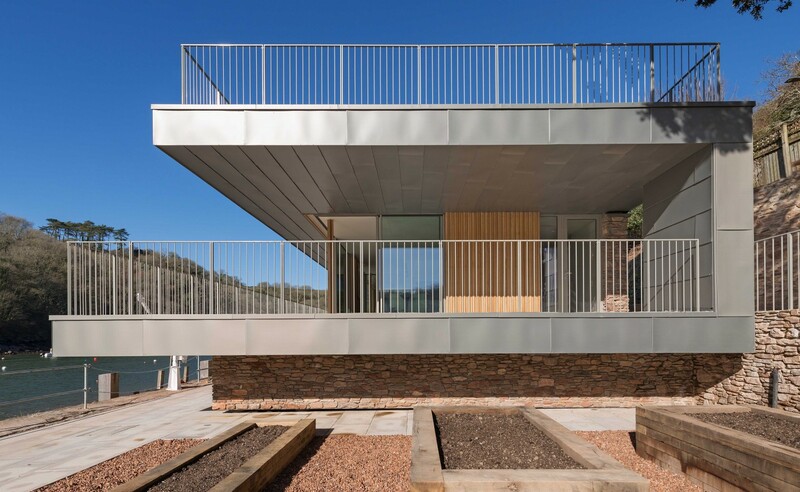 The massing avoids interrupting the horizontal line of the hillside while a break between the two storey and single storey sections is articulated by a large setback in the glazed facade forming a sheltered courtyard. 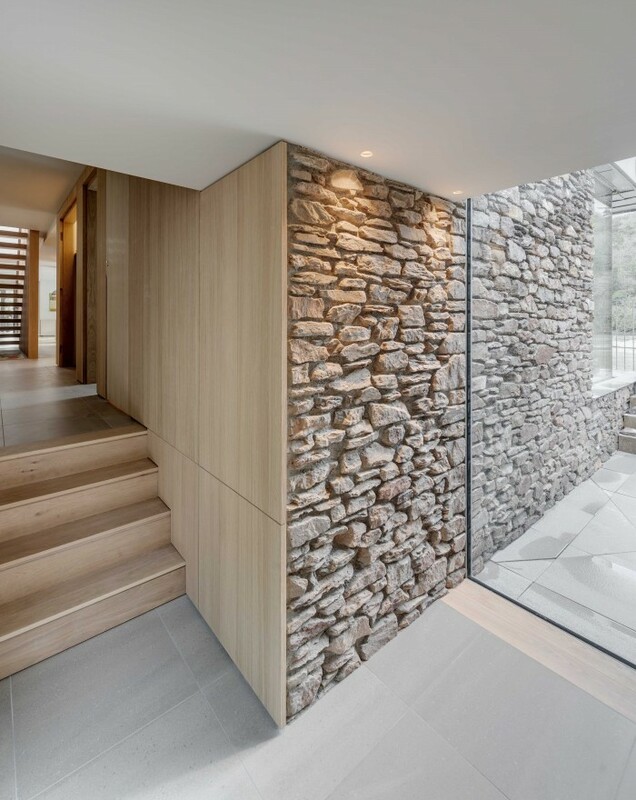 This offers glimpses of the planted cliffside and views through the building as you enter. 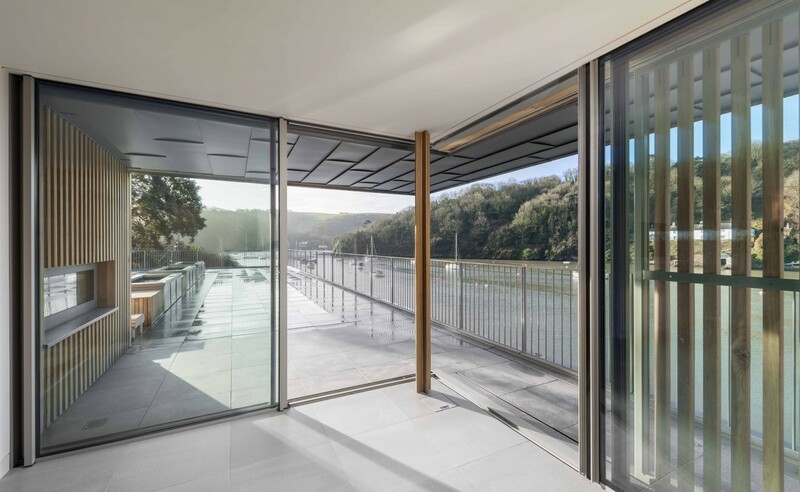 The dramatic cantilevering terraces required a steel frame and intricate detailing to maintain airtightness and thermal performance. 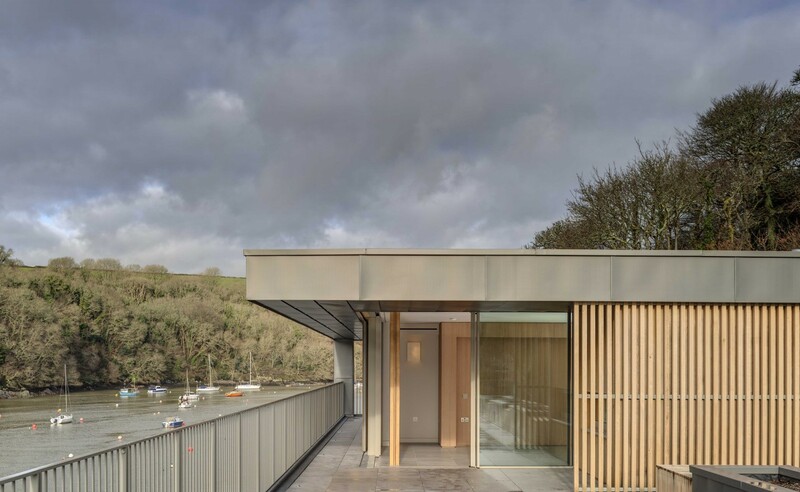 The single and two storey sections are united by the zinc ‘S’ which wraps the distinct parts to form a single building whilst sheltering the façade and allowing our clients to make the most of their spectacular views. 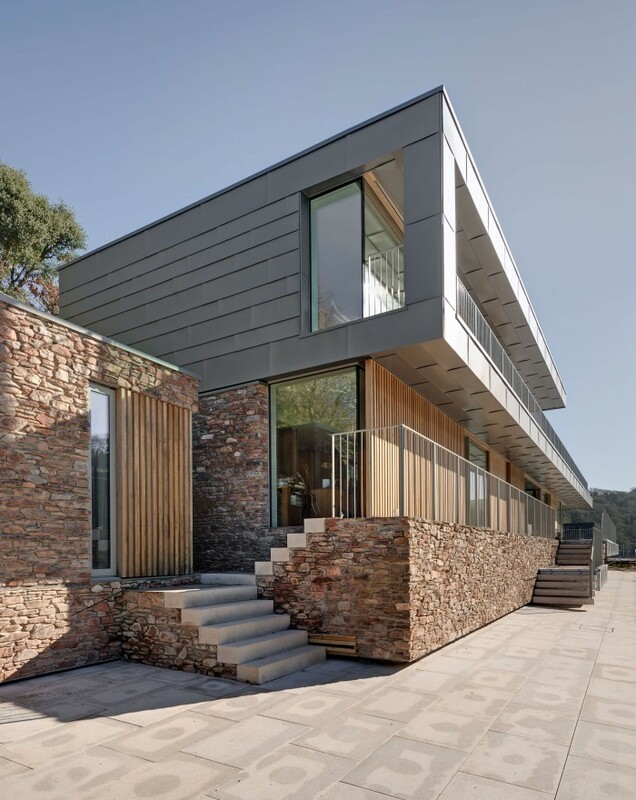 Locally sourced ‘dry stacked’ stonewalling provides contrasting weight to the shimmering reflective zinc soffits and fine-framed glazing. 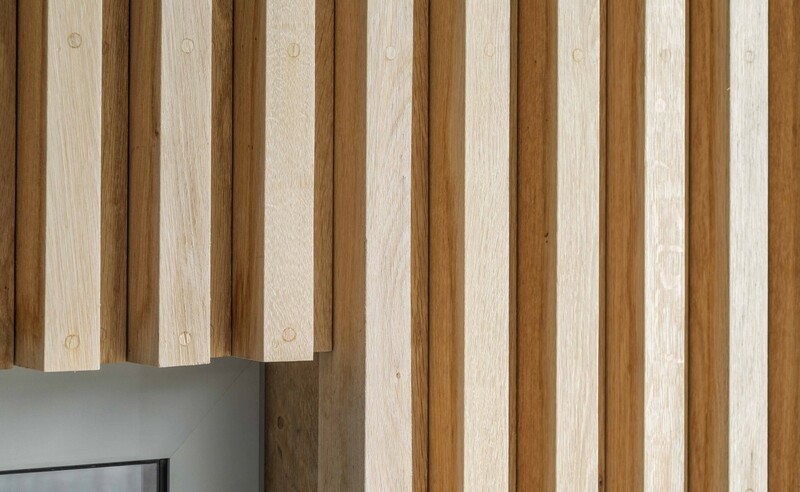 Oak ‘corduroy’ cladding panels add a third softer material and the large format sliding oak screens filter light and views whilst animating the elevations. 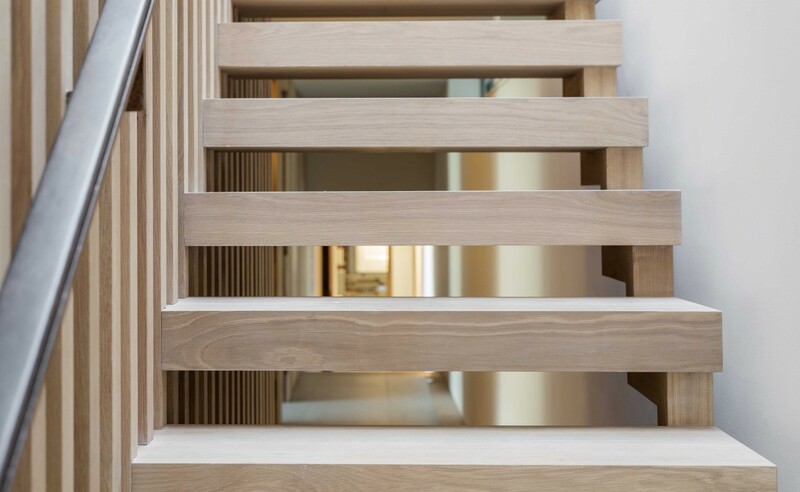 Internally oak veneered boards line corridors and rooms complementing the bespoke solid oak joinery items including the dramatic staircase which echoes the sliding screens. 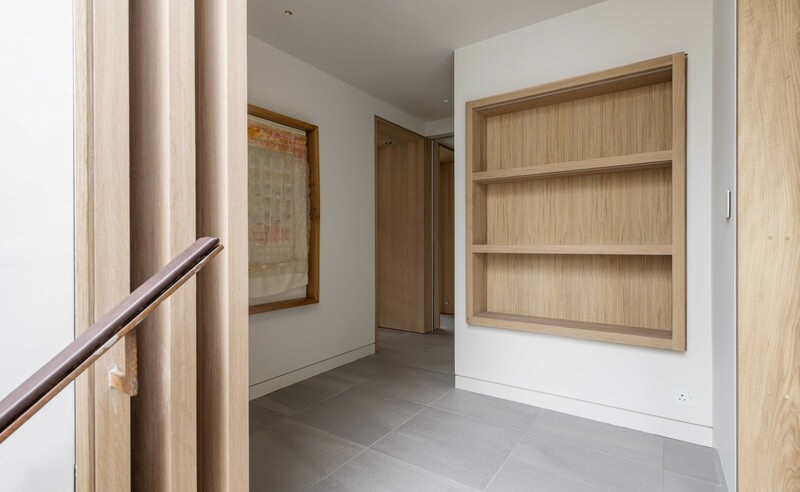 The hard joinery items are complemented by the client designed textiles on walls and floors.